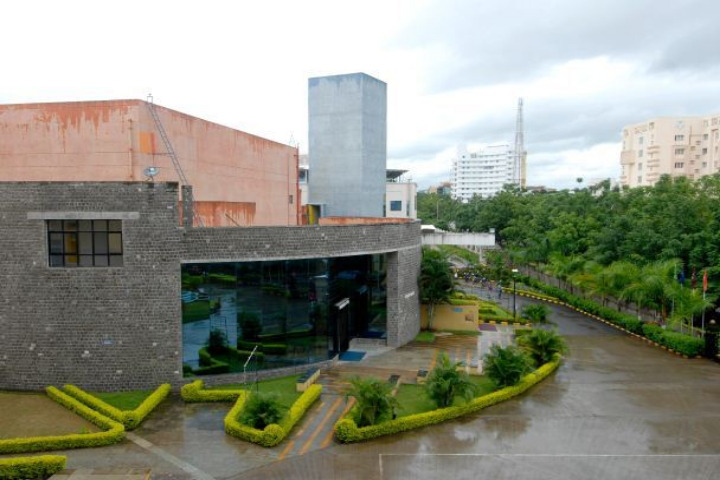 The college not only provides the basic infrastructure but also focuses on imparting key skills necessary in excelling highly competitive professional career which requires continuous up to date knowledge of the current environment with facilities like Bloomberg, Oracle. Further, interaction with corporate professional is done through student-centric corporate drive. College is not as a newcomer expects from B-school. Very bleak infrastructure, badly managed by people who have no clue about student culture and exposure even industry exposure. But placements are good to great. Be in top 20%,you're sorted. Weak culture, weak facilities. Not liberal college. ROI good. Only specific people will be satisfied from the college. Not good option for work ex people!! 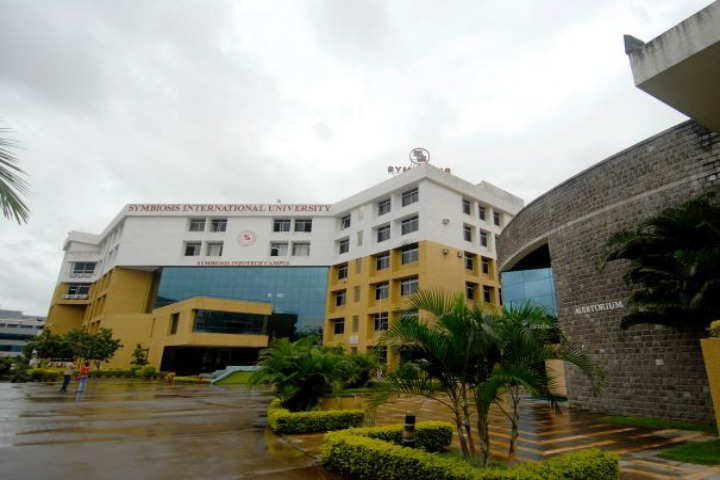 One of the Best college for HR in India. 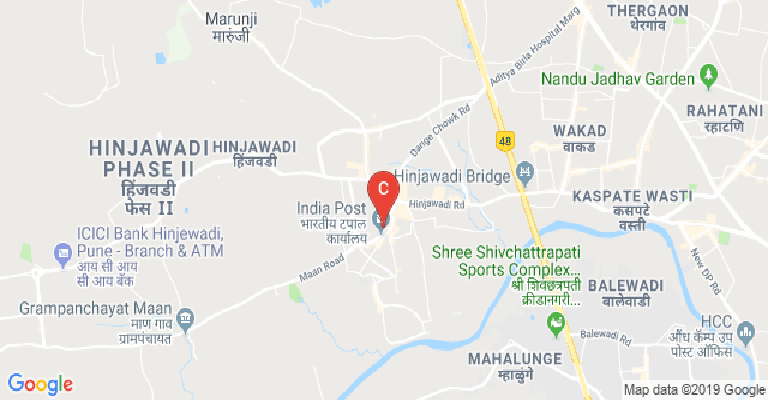 It has all the facilities that are required and one of the best faculties that any college could have.Practical exposure and live projects that could help one individual to grow and get the best knowledge. Very nice opportunities for industrial exposure also. ROI is one of the best. Brand name good. Placements are good to great, until unlucky. Infrastructure is bad - average. The faculty is Average. The crowd is average. Life is average. Less on exposure. Hostels are bad. Culture wise very averagely. Final decision Depends on what aspirant is seeking from the college! 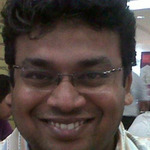 SCMHRD is a great place to develop your business acumen as well as enjoy all the fun and frolic of a grad school. It is an amazing place to meet an ambitious and innovative bunch of like minded individuals. You also get ample opportunities to hone your leadership skills and add value to your professional career. 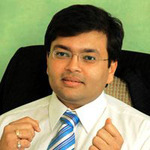 Indus Valley Partners Pvt. Ltd. Boys Hostel :On campus residential facilities are available for every student. 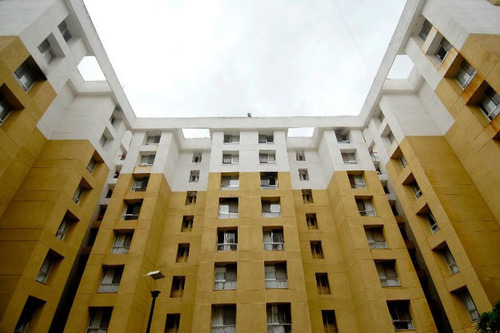 There separate residential blocks for boys which provide triple sharing rooms with attached bathrooms. Amenities like 24x7 hot water supply, twice a week room cleaning service and laundry are also provided. A well stocked provisional store and juice shop takes care of the daily needs of the student. Besides that the ‘Bala’ shop in the boys’ hostel, ensures that students don’t have to bear hunger pangs at any time. Girls Hostel :On campus residential facilities are available for every student. There separate residential blocks for girls which provide triple sharing rooms with attached bathrooms. 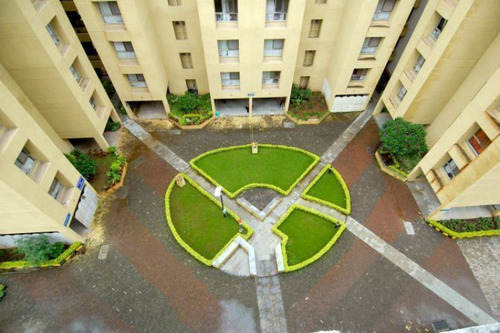 Amenities like 24x7 hot water supply, twice a week room cleaning service and laundry are also provided. A well stocked provisional store and juice shop take care of the daily needs of the student. Besides that, the ‘Bala’ shop in the boys’ hostel, ensures that students don’t have to bear hunger pangs at any time. Medical/Hospital :The institute provides excellent healthcare and medical facilities. 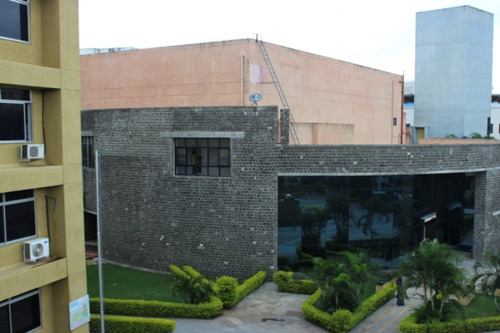 A healthcare center SCHC managed by the Symbiosis Institute of Health Sciences (SIHS), with a residential medical officer is a vital feature of the campus. The SIHS has a team of specialized doctors who conduct the (compulsory) annual health check-up. Every student is insured under the Mediclaim and Road Traffic Accident Policy. 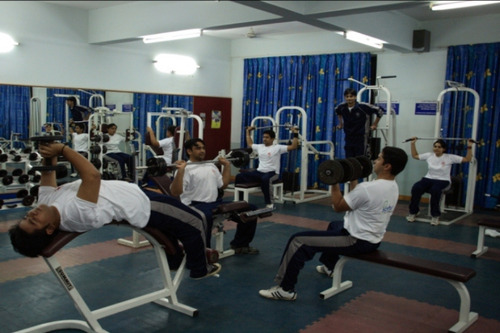 Further, the college has a gymnasium equipped with the latest workout machines and also a workout hall for Yoga and Aerobics. Gym :The gym is well-equipped and employs qualified instructors. The yoga center helps students de-stress and attain a physical and mental sense of well-being. 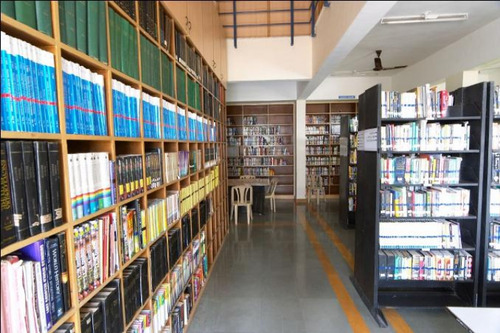 Library :The Wi-Fi enabled library provides access to more than 24000 books, about 2000 audio and video CDs, DVDs, International and National business periodicals in diverse areas of Leadership, Business, Entrepreneurship, and Management. There is enough space and material for students to sit and read about the topic of their choice. Further, the Harvard Publication Research Centre, access to online databases including EBSCO and EMERALD and the institution’s membership with the British Library give students a global exposure and in-depth learning about business issues affecting organizations today. The Library also provides online book search and booking facility (OPAC). Sports :Basket Ball court Table Tennis courtThe college and hostel life is never complete without sports. For the reason, the institute provides facilities for sports like Cricket, Basket Ball, Badminton, Carrom, and Table Tennis. Cricket matches and Football matches are the norms of the day as students find healthy ways to rejuvenate themselves. Table Tennis Court is the favorite haunt as a few breaks during an otherwise hectic schedule is fully utilized by students to play games. Cafeteria :The mess provides three meals a day with a variety of cuisines catering to the needs of the student community. The cafeteria provides its services until late night hours keeping the energy levels of the students high, round the clock. The campus also has a Nescafe outlet and a juice shop. 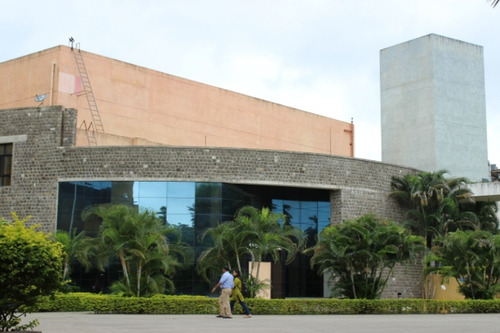 Auditorium :SCMHRD has a state of the art fully air-conditioned auditorium with the capacity to hold 300 people at a time. 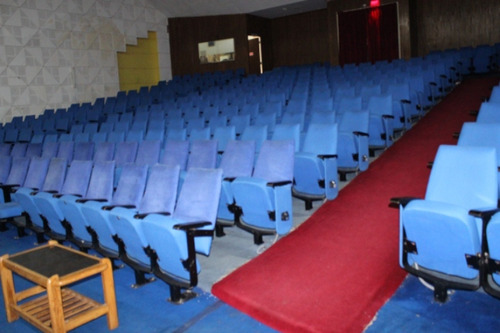 The auditorium is used on regular basis to host the regional and national level events and seminars. 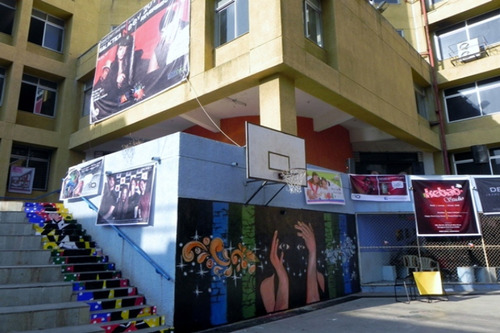 The auditorium is also used to host the cultural events of the campus. Wifi :The campus and hostels of SCMHRD are fully Wifi enabled which ensures that you do not have to restrict yourself to any particular space to harness the full power of internet. Besides that we have a wifi room in our campus where you can access the internet at very high speed uninterrupted at any time of the day. Swimming Pool :Nothing is better than a swimming pool to ward off the daily mental exertion. 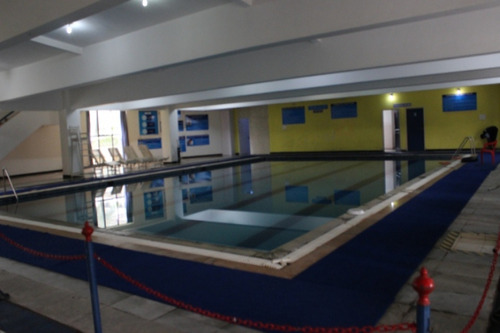 Keeping this in mind, SCMHRD also provide the swimming pool to its student. The water quality of pool is regularly monitored. Besides that we also have a trainer available on campus to teach swimming to students free of cost. Laboratories :Computer Labs - The campus has several computer labs. Specialized labs such as SAP lab and Oracle lab is also available for the benefit of the students. The computer lab sessions are also a part of several core courses such as Statistics, Economics, Marketing Research and Research Methodology.